The location is the outer Stockholm archipelago. Tall pines among the forested site give it an untouched character. The house stands in a clearing on an elevated plateau overlooking the sea, facing north. 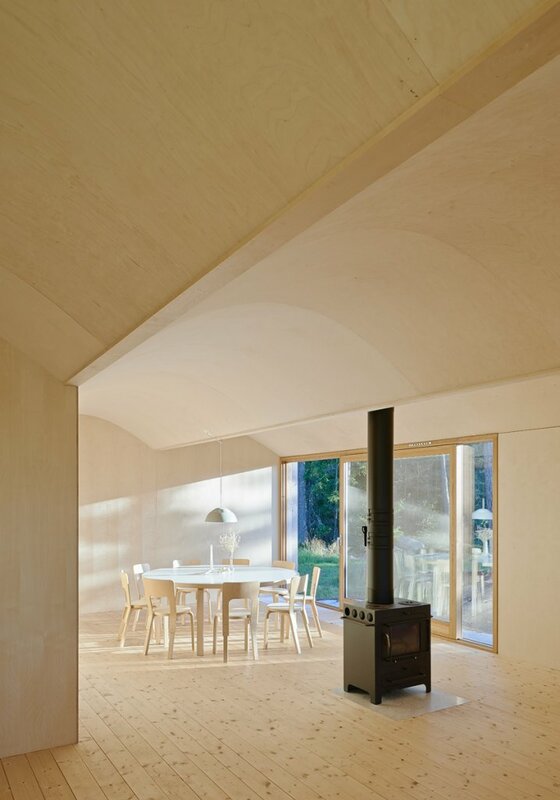 The light conditions, the sea view and the flat and smooth bedrock were some of the qualities that combined to become the initial inspiration for the house. A relatively low budget and the wish to maximise the volume of the building according to the limits set by local building regulations also influenced the design, resulting in the idea to use tectonic rationality to support a specific spatial structure. 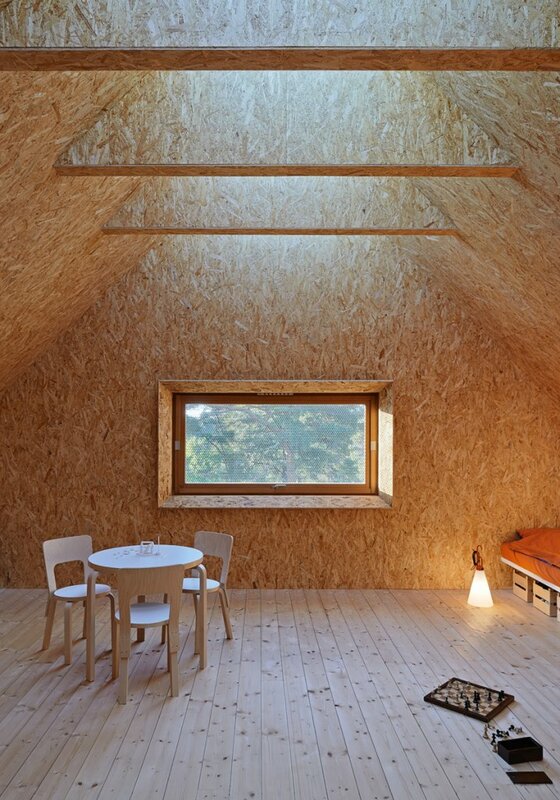 The volume of the pitched roof on two levels, is divided into an open social area on the ground floor and a more private upper floor for bedrooms and a playroom. 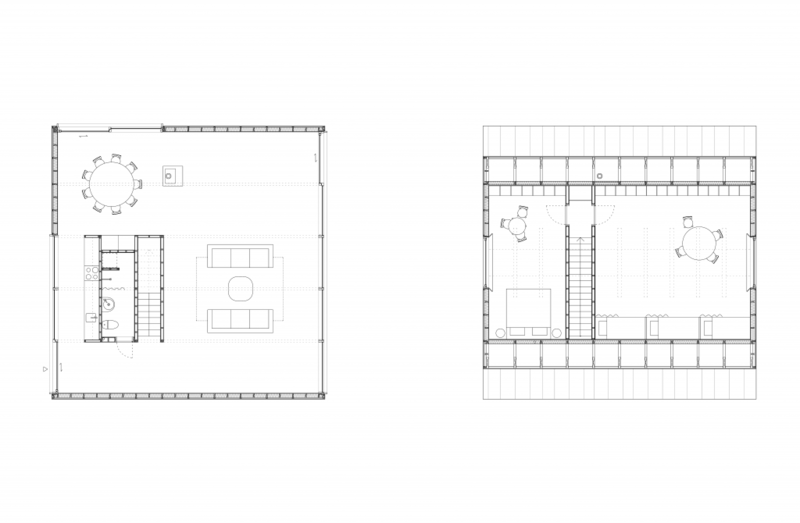 Within the square plan, a freestanding box comprising kitchen, bathroom and the stairs, organizes the ground floor into a sequence of interconnected spaces. Large sliding windows open up to sunlight, wide views and direct access to the outdoor areas on the naturally flat part of the bedrock. On the upper level a skylight, running along the ridge of the roof, underscores the verticality of space and subtly enhances the experience of seclusion. 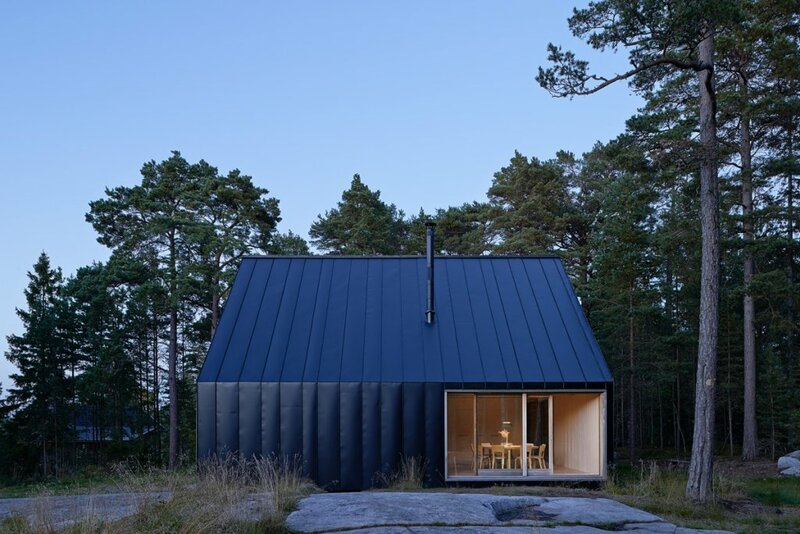 The exterior is entirely clad with folded black sheet metal of varied width. Large sliding doors provide entrances and direct access to the outdoor areas on the naturally flat part of the bedrock. All construction and finishes are made out of wood with sliding doors and windows in hardwood. 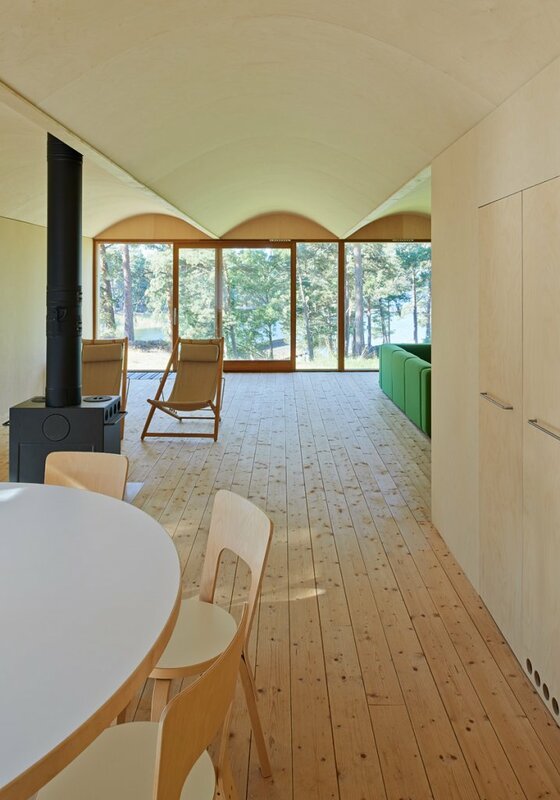 The open plan is made possible with glulam wooden beams, in between which plywood sheets form a series of vaults.